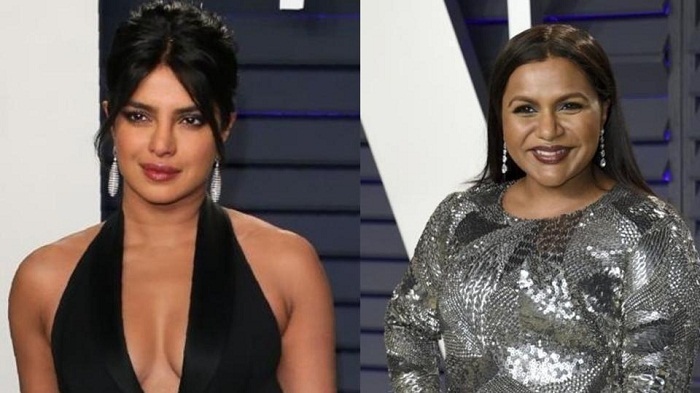 After days of speculation, it has finally been confirmed that actors Priyanka Chopra and Mindy Kaling will team up for a new film, based around a big fat Indian wedding. Universal won the auction for the collaboration, produced by Mindy and Dan Goor - creative producer of Brooklyn Nine Nine. The duo will write the wedding comedy, that will feature Priyanka. Mindy is also likely to direct. While details of the upcoming project are yet to be revealed, it has been billed as Crazy Rich Asians meets My Big Fat Greek Wedding, reports Deadline Hollywood. It is likely to revolve around the culture clashes at a big wedding in India. The comedy will be a co-production by Goor, Mindy’s Kaling International, Priyanka’s Purple Pebble Pictures and 3Arts’ Howard Klein. Meanwhile, Mindy, who was last seen in Oceans 8, is all set to feature opposite Emma Thompson in Amazon Studios’ Late Night. Priyanka, on the other hand, has just completed her Bollywood project The Sky Is Pink and was recently seen in the Rebel Wilson and Liam Hemsworth-starrer Isn’t It Romantic.